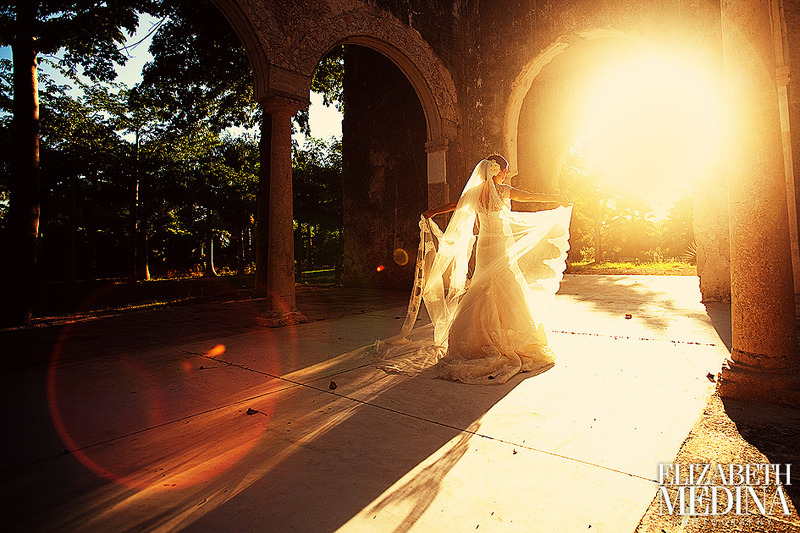 Walking on sunshine. 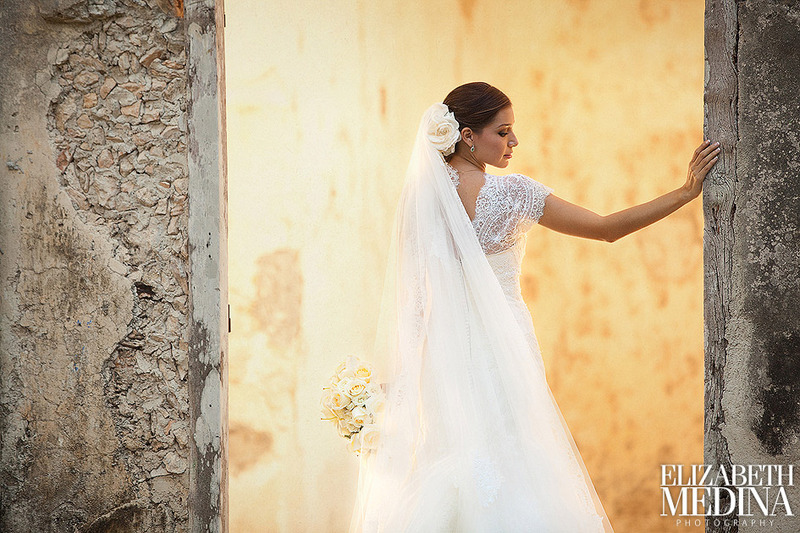 Woa-o… If wedding photo sessions had soundtracks I am pretty sure that’s what would have been playing during Ana Cristina and Rodrigo’s wedding day photo shoot at the Hacienda Chichi Suarez in Merida, Yucatan. 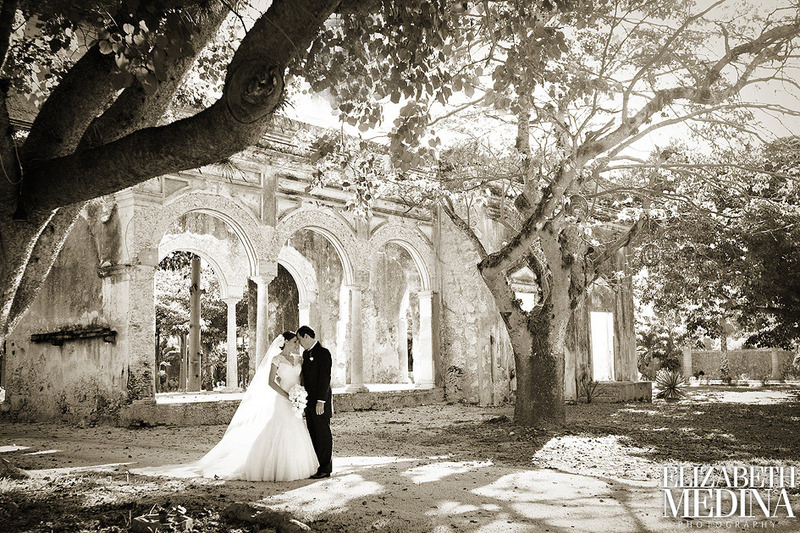 Lindsey and I were blessed with an unbeatable trifecta… a delightfully happy, ultra low maintenance couple, one of my favorite playgrounds, the hacienda Chichi Suarez and to top it off plenty of time on a fall day that could not have been more divine. 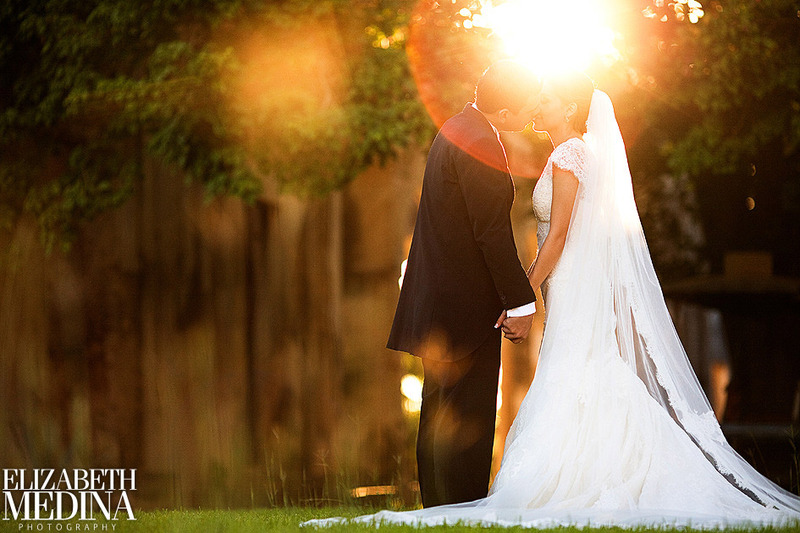 It didn’t surprise me for a minute that these two even had rainbows without a rain cloud in sight! 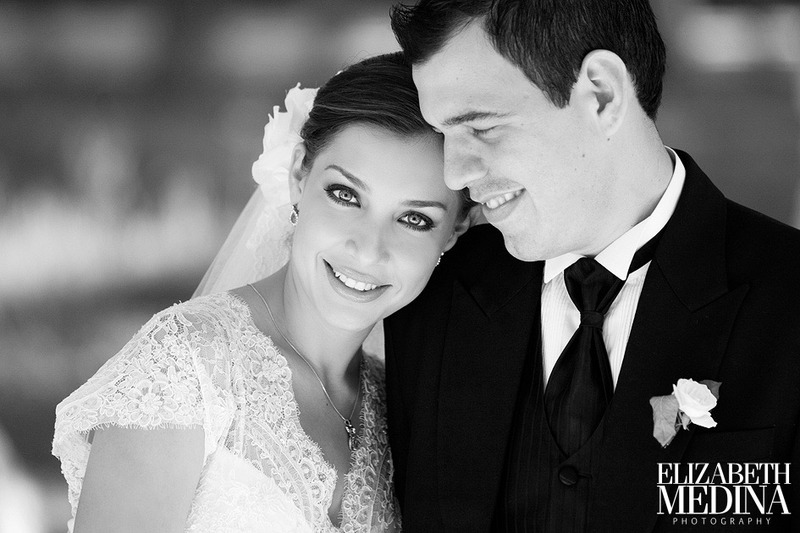 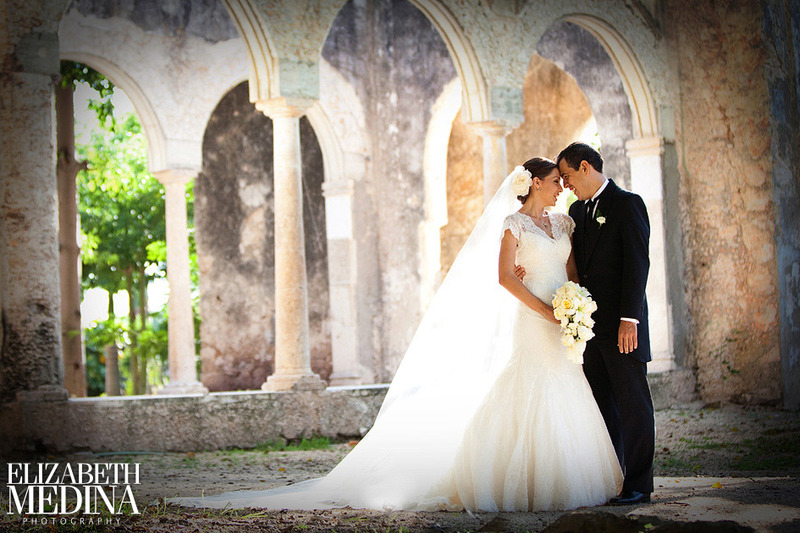 Rodrigo y Ana Cristina, muchas felicidades! 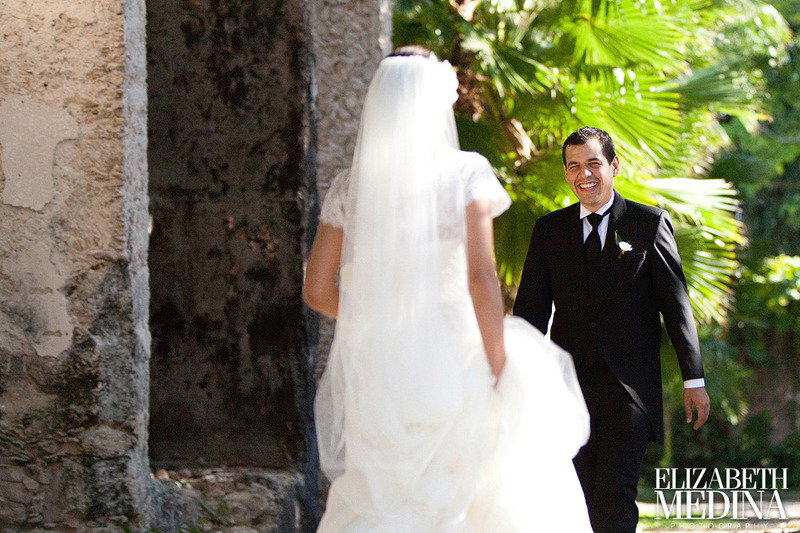 The first look, bride and groom arrived at the same time in separate cars, it was so fun to see them so thrilled to meet up as bride and groom and get their day rolling. 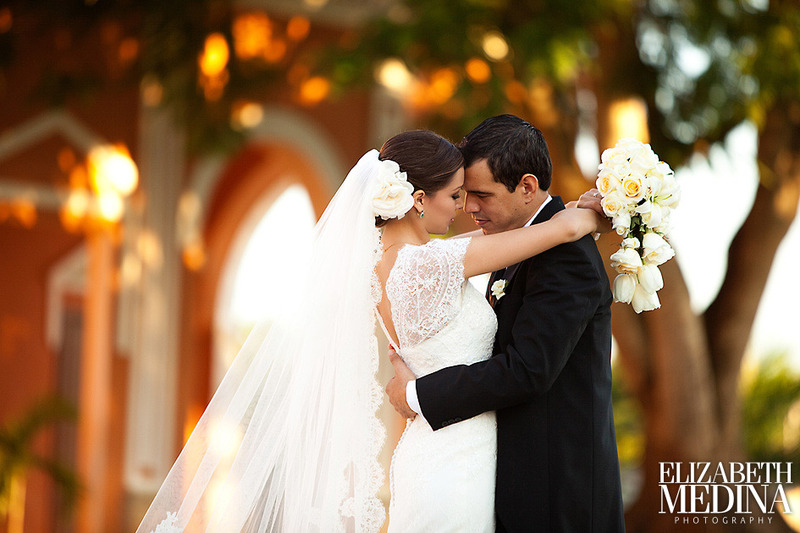 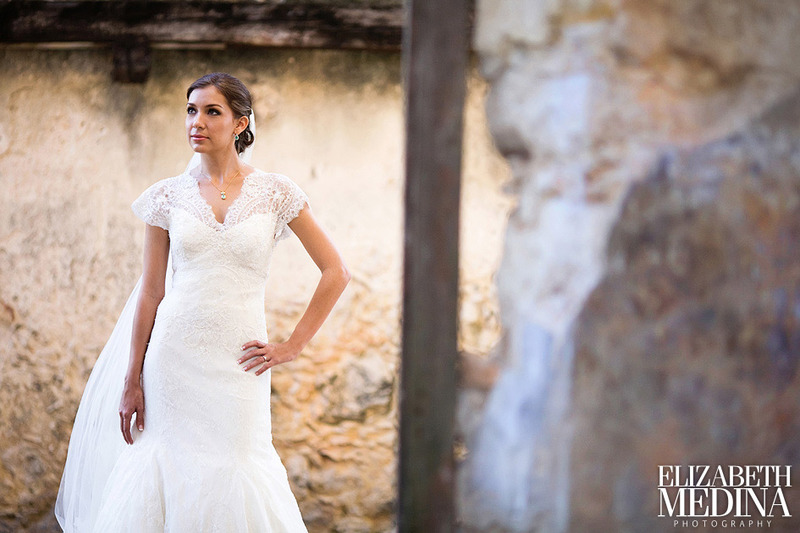 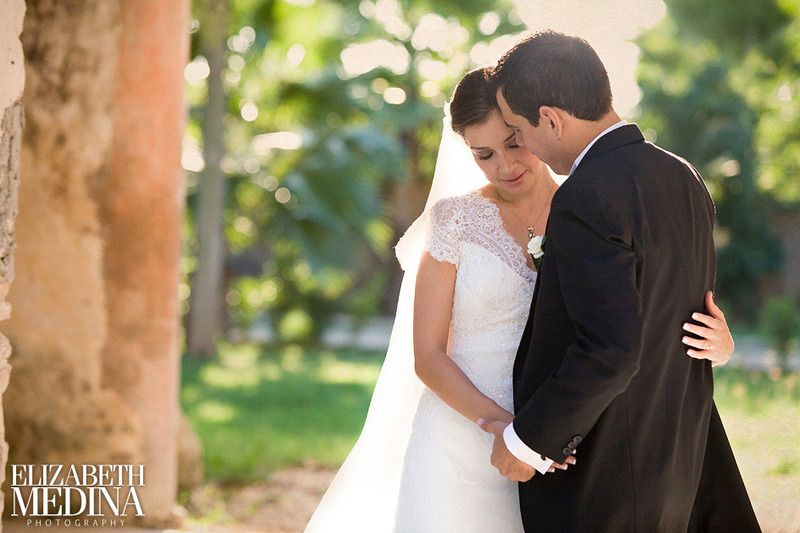 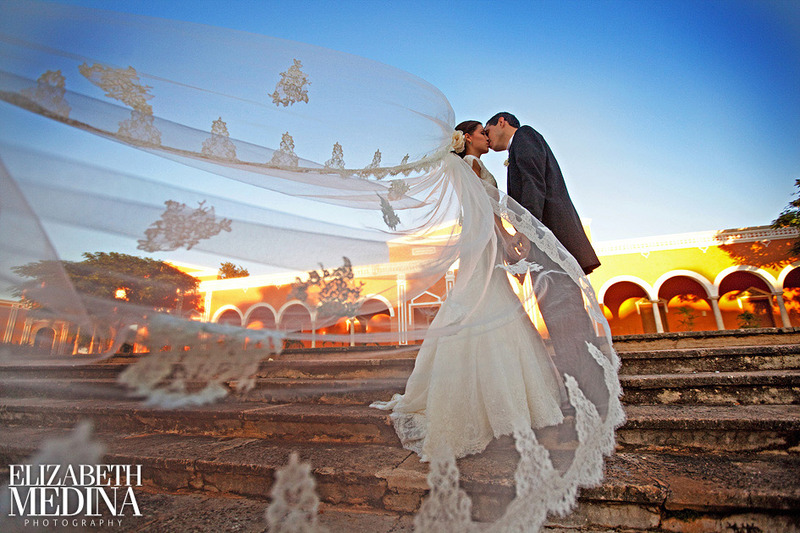 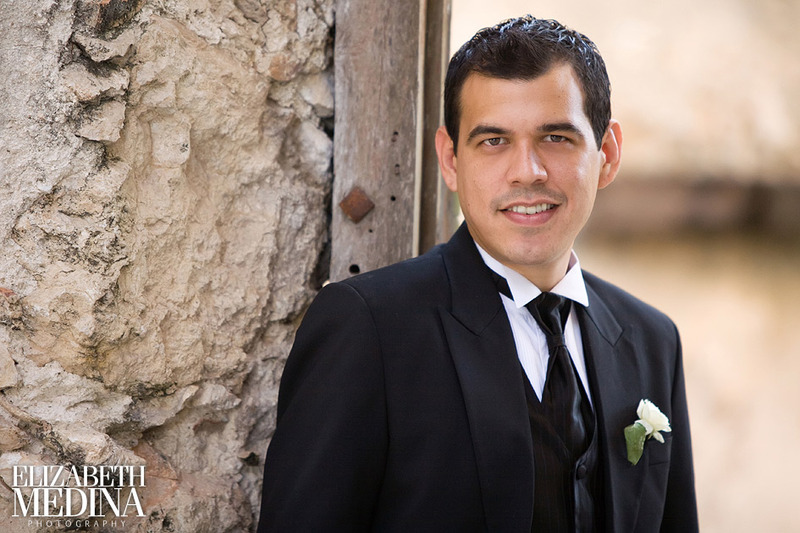 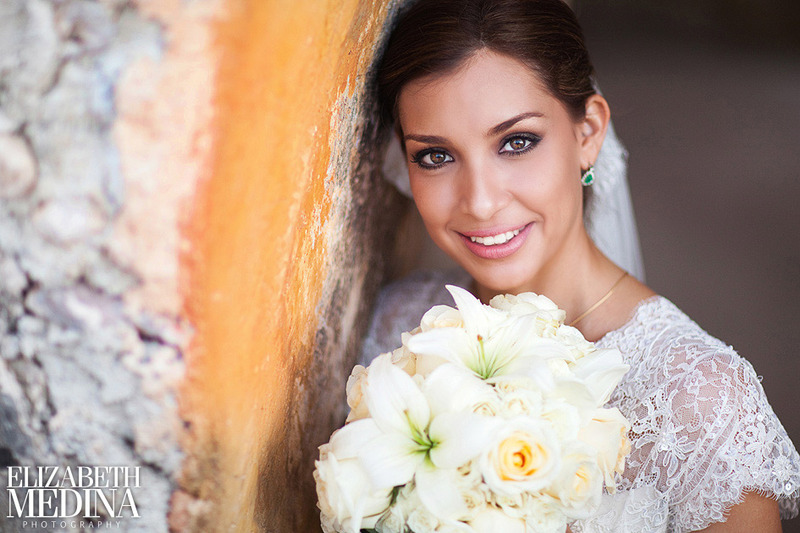 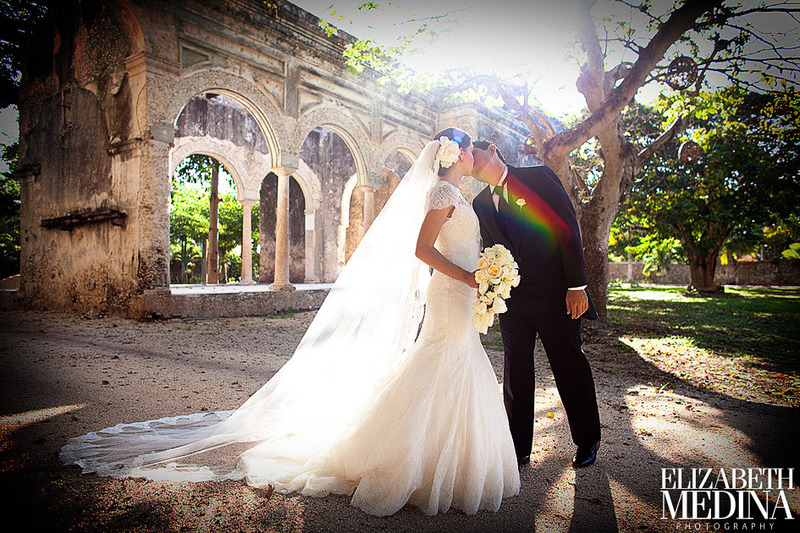 Mexico photographer Elizabeth Medina is Mexico’s premier wedding photojournalist, covering weddings in the Merida, Campeche the Yucatan Peninsula and throughout Mexico.